Dining Dish: Summer Restaurant Weeks kicking off: New York, Baltimore, Philadelphia, Washington DC and more. Summer Restaurant Weeks kicking off: New York, Baltimore, Philadelphia, Washington DC and more. 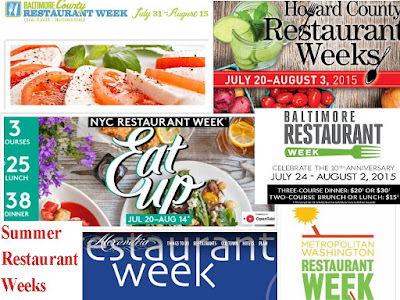 It has been my policy to always post a listing of Mid-Atlantic cities’ restaurant week promotions which you will find below. Personally, I’m frustrated looking at the participating restaurants in my area as well as other regions who have not posted in any way, shape or form their menus/prices on-line. With the restaurant week promotions imminent and not having your restaurant week menus available to make a educated decision – isn’t that counter-productive to the whole promotion of driving business in on the off months. No menu on-line, I don’t go. Also, another peeve about recent restaurant week promotions, what started out with pricing reflection the current year i.e. 1999 – lunches were $19.99 – it is now a total free for all. 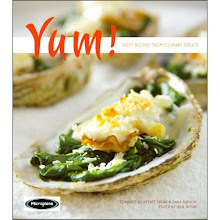 Howard County Restaurant Week - Monday, July 20th to Monday, August 3rd Menus are priced from $14.15 - $45. Baltimore City Restaurant Week - Friday, July 24th to Sunday, August 2nd – Two course brunch or lunch $15 and three course dinners $20 or $30. 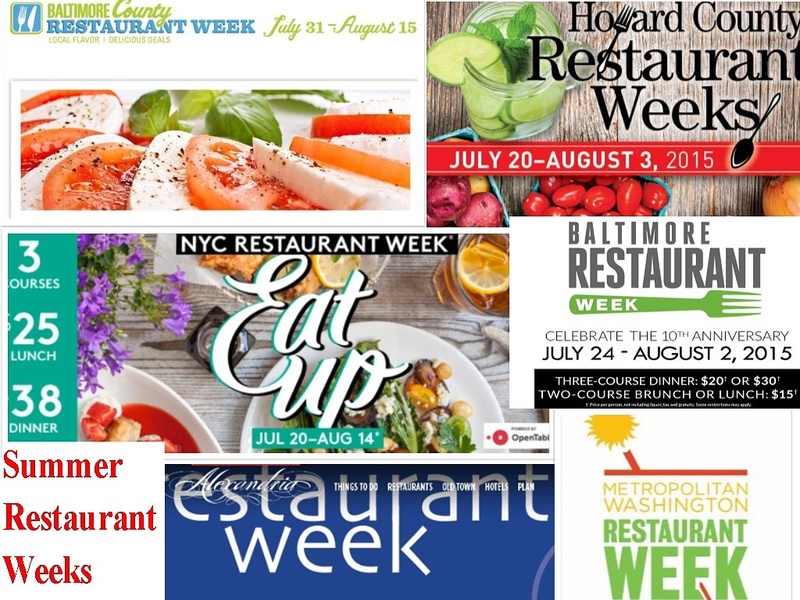 Baltimore County Restaurant Week - Friday, July 31st to Saturday, August 15th Pricing is all over the board – each location chooses – they make up their own from $15.15 lunches to $38.15 dinners and everywhere in-between. Center City District (Philadelphia) Restaurant Week - Sunday, August 2nd to Friday, August 7th AND Sunday, August 9th to Friday, August 14th. Three course lunch $20 and three course dinner $35. Alexandria Restaurant Week - Friday, August 21st to Sunday, August 30th. More than 60 Alexandria restaurants feature a $35 three-course dinner or a $35 dinner for two during Alexandria Summer Restaurant Week. More than two dozen restaurants are also offering lunch specials at $10, $15 or $20 per person in addition to their dinner specials.